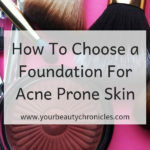 One of the most common questions I get is “How do I take care of my skin when I have acne?” If you’re reading this you may have landed here while googling to find the answer to the same question. Taking care of your skin when you have acne is a little tricky. You want to find a way to take care of it without hurting it even further. One of the key things to remember here is that when you have acne the best way to treat your skin is gentle. 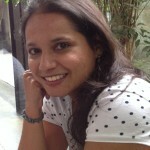 You may be tempted to slather on the acne creams to try and get rid of the acne. 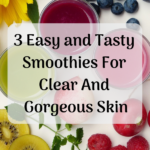 While it may work you could be left with dry, sensitive skin. From personal experience, I can tell you that dealing with dry, sensitive skin is not a picnic. Also when you have acne less is more. The more you handle your skin the more you are irritating it. The more you irritate it the longer your acne will take to heal and it may cause more acne to form. If you have a cleanser that cleans your face without leaving it tight and itchy you can continue with it. Otherwise, you should use a gentle cleanser like Cetaphil. You can also try this one from Himalaya. What you want in a cleanser is preferably natural ingredients like aloe vera, tea tree oil, turmeric, rosehip extracts, oats, green tea and lavender. Steer clear of cleansers with benzoyl peroxide, salicylic acid and any other strong ingredient. 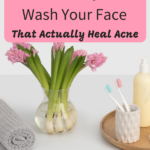 While they may clear your acne they will also dry out your face. If you are looking for a natural cleanser there are some alternatives to face wash like milk, besan (chickpea flour) and aloe vera, but if you have active acne, the gentlest natural alternative would be honey. 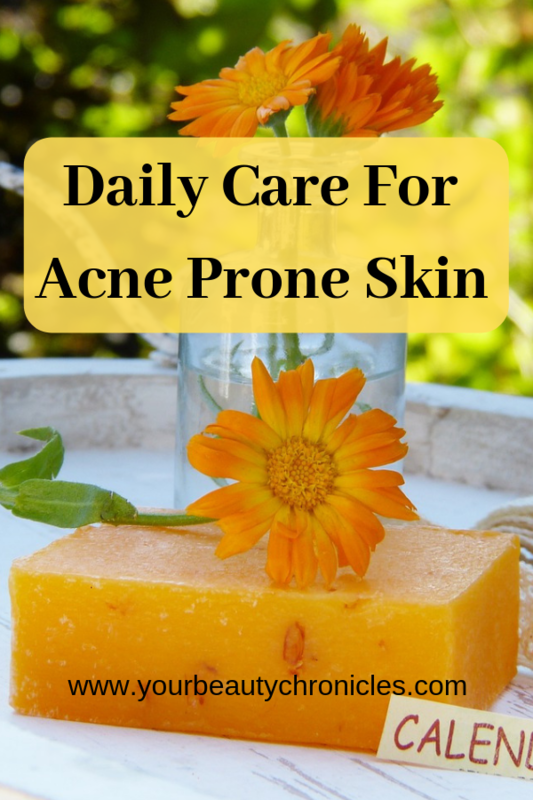 Don’t try any other natural remedy till your acne has healed. Honey will remove impurities without drying out your skin. 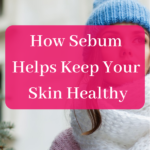 It will balance out the oily areas and hydrate the dry areas. You need to use any organic honey. However, if you have makeup on, honey will not remove it properly. So you will need to either use a makeup remover or remove the makeup using cotton wool and oil first. How to use: Take about 1/2 teaspoon raw honey on your palm. Add a few drops of water if it is too thick. Massage this on your face. Wash off with normal or warm water. Do You Need A Toner When You Have Acne? Toners are used to remove oil, traces of dirt and close your pores. But if you have cleaned your face properly you really do not need to use toner. If you keep removing all the oil from your face, your face is going to get even oilier. Most toners contain alcohol which will dry out your skin. Besides irritating your skin, the alcohol will dry out your skin. Your skin will react by creating even more oil. You may find that your skin gets oilier when you use a toner. The act of applying toner with cotton may also irritate your skin. Imagine if you have acne and go at it with a cotton ball filled with alcohol based toner. You’re asking for trouble. If you really want or feel you have to use one, look for toners which are alcohol-free. If you want a natural version you can try green tea, organic rose water or just simply an ice cube gently all over your face. Don’t rub your skin when applying them. Gently dab your face with the cotton. If your acne is really severe and you find it hard to apply moisturiser you can skip it for a few days till your acne heals. Last thing your skin needs is more touching and rubbing. Left alone your skin will heal much better. If you do use a moisturiser remember to choose one that is light and gentle. A lotion based one would be perfect. 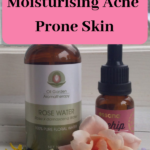 Choose a moisturiser that contains aloe vera, rosehip oil, lavender and green tea extracts which are perfect for healing acne. Apply them on your acne soon after washing and before you use moisturiser or sunscreen. 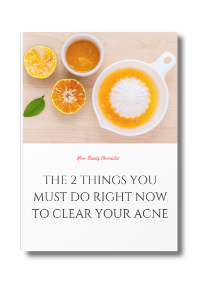 For more spot treatments for acne and how to make them, click here. 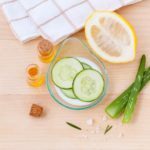 Face masks for acne should heal your acne without drying your skin. The problem with commercial face masks for acne is that they have just one purpose. To Heal Acne. They do this by drying out the acne. Can you see the problem here? Normal skin that does not have acne also gets dried out. Why wouldn’t it? It is just doing what it was meant to do. The best masks for acne are those that heal acne without drying your skin. My all-time favourite natural ingredient for acne is raw organic honey. All you need to do it apply a thin layer on your face and leave it on for an hour or so. After a week you will notice your acne start to heal. Add cinnamon and nutmeg powder to the honey for added healing and to remove scars. Honey moisturises and hydrates the skin and helps heal the acne. Cinnamon is anti-inflammatory and anti-bacterial and helps heal and reduce inflammation caused by acne. Nutmeg is an astringent, so what this does is make your pores smaller and also gets rid of dead skin cells which then gradually reduce the marks left by acne. You can either use the face mask immediately after you wash your face and before you apply moisturiser or if not then any time you have 1/2 hour to 45 minutes free. I suggest the following routine for slowly adding the cinnamon and nutmeg as they are rather strong spices on their own. As with everything else do a patch test first. Just apply organic honey to your face and leave it on for 1/2 an hour. Wash off with warm water. As the acne start to heal add 1/4 teaspoon of cinnamon powder to 1 teaspoon of honey. Apply this on your face and leave for 1/2 hour to one hour. Add 1/4 tsp finely grated nutmeg powder to the week 2 mask. Apply the mask and leave it on for an hour. 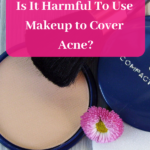 If your acne is not severe and is healing you can use makeup. Try to stick to good brands. Some makeup brands like Clinique have makeup that heals your skin while covering and protecting it. Ecco Bella FlowerColor Natural Liquid Foundation – Vegan, Gluten and Paraben-Free Makeup for Flawless Coverage, Natural, 1 oz. Whatever your choice of makeup remember to take it off at the end of the day. Be gentle on your skin. The best way is to use soft cotton and jojoba oil to get the makeup off. Or use a lotion based makeup cleanser. Whatever the state of your acne never forget to use sunscreen. When you have acne you need to protect your skin from the sun or else you could end up with pigmentation on your face. So, there you have it. I hope your question on “how to take care of your skin when you have acne” has been answered. Comment below and tell me if I have missed out anything or you have a tip I could update my post with.